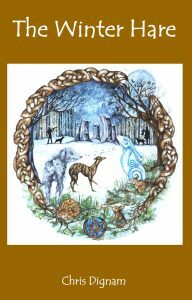 The Winter Hare – Book Launch 27th September 2018! It’s taken a while but the sequel to The Largest Rabbit will be out on the 27th September and is now available to Pre-Order through our website HERE. 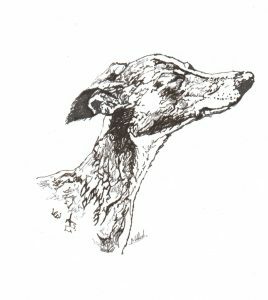 We are currently awaiting proof copies but have set a date and venue for the book launch – 27th September 2018 at the Greyhound Rescue Wales Shop on the Kingsway in Swansea, from 10 a.m. to 3 p.m. (ish!). Come along and meet the author, have your copy signed and dedicated and also meet Penny the Crafty Dog herself! 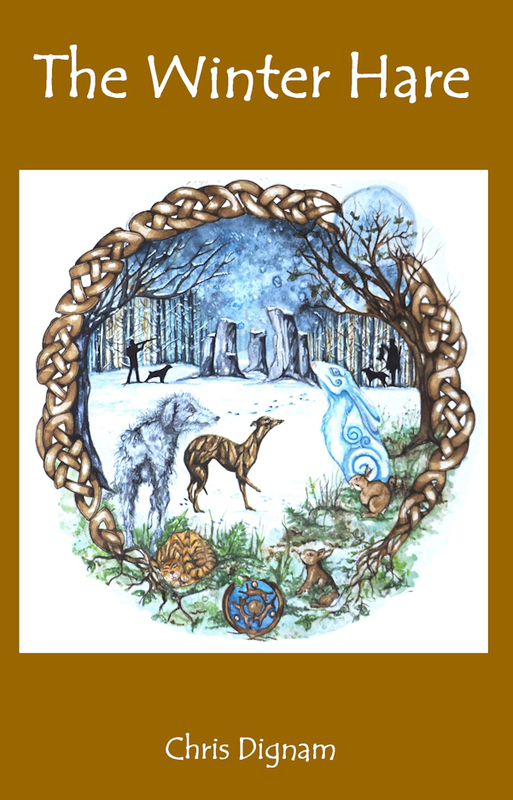 Here is the cover of the book – artwork by Allison Rees/Coppertop Crafts. This book takes up the story after the Christmas adventure which gave the Maid and the Butler the ability to understand the animals, and for Rubbish, Finn and Jeffrey to be understood by humans too. It is a cold winter that does not seem to end, and there is thick snow on the ground. The rabbits find huge footprints in the snow, with specks of red nearby. Whose prints are they? As they examine them, they are being watched by a small figure hiding at the edge of the trees. Who is the mysterious Winter Hare? In the fields not far away there are two hunters with guns and vicious dogs – are they after the Winter Hare? Can Finn, Rubbish and Jeffrey protect the hare and get her safely home? What will happen if she never gets home? Will this winter ever end? This is a tale of dark villains and hairy heroes; of ancient magic, bravery, and of a marmalade cat with attitude, arthritis,and more than a hint of anchovies! 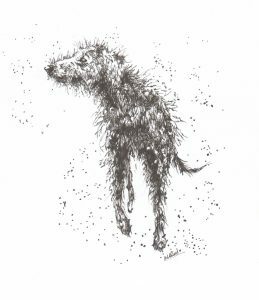 Once again, the Mighty Finn the deerhound and Rubbish the abandoned greyhound who now protects the rabbits are called on to rally the friends and try to save the day. And Jeffrey the cat does his bit too! It is a children’s book aimed at the 8-12 age group but like The Largest Rabbit it has proved popular with all ages (from 8-80 would really cover it!). 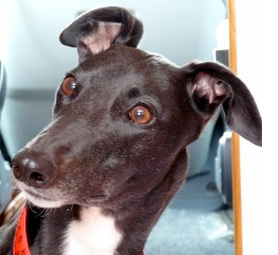 All sales through the webshop will generate a donation of £1 a copy for Greyhound Rescue Wales. The Winter Hare – Update!